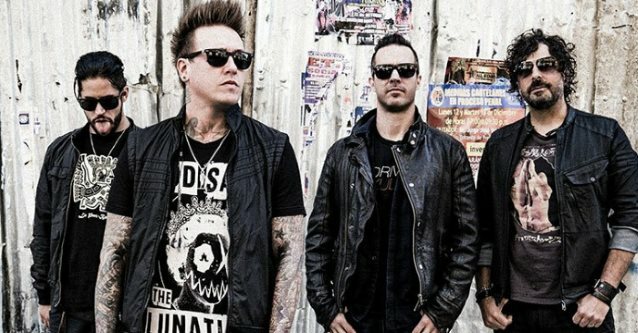 It’s official: New music from Papa Roach is on the way. The hard rockers will release their new album, “Crooked Teeth,” on May 19. “Crooked Teeth,” which marks the band’s ninth studio album, features a crop of interesting collaborations, from rapper Machine Gun Kelly to singer Skylar Grey. The band recorded the release with producer Nicholas “RAS” Furlong and Colin Brittain. “The first time we met up with RAS and Colin, they said that (our 2000 album) ‘Infest” was on constant rotation when they were growing up and they wanted to bring back some of that fire,” singer Jacoby Shaddix said in a press statement. Something special about this new album, especially for Michiganders, is that the Deluxe Edition of “Crooked Teeth” will include a live disc recorded at the Fillmore Detroit. The new Papa Roach album comes with multiple options, such as signed copies, lyric sheets, photo prints, a pre-release listening party, test pressings, custom voicemail greetings, Skype calls, music lessons from Papa Roach members and more. A mega-fan can even purchase a private Papa Roach acoustic show for their backyard. That will run $75,000. For all the options, visit the Pledge Music website.